The body mass index, or BMI, helps clarify an important distinction between being overweight or being obese. If you weigh too much, you’re obviously overweight. But if you have a very high proportion of body fat, you’re obese. Based on your body mass index, your doctor or other health professional will classify your weight as healthy, overweight, or obese. According to the National Heart, Lung and Blood Institute (NHLBI), the BMI “describes body weight relative to height and is correlated with total body fat content in most adults”. In almost all cases, this means that the BMI will accurately reflect your weight and proportion of body fat as a function of your height and weight when categorizing you as healthy, overweight or obese. 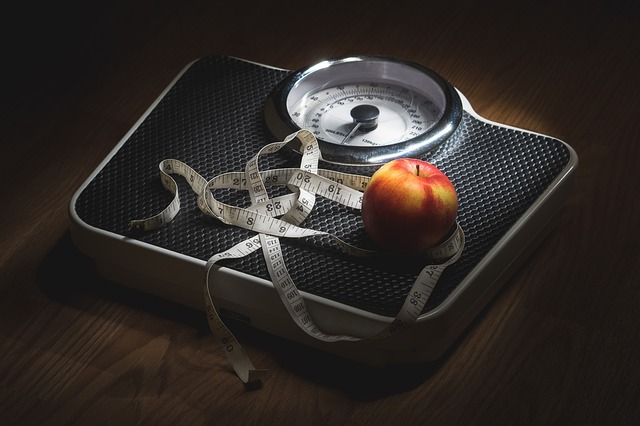 Calculating your approximate body mass index is relatively straightforward, although you’ll probably need a calculator just to save time. To get your BMI, multiply your weight in pounds by 703. Next, divide that result by your height in inches. Then divide that result by your height in inches one more time. As an example, let’s say you weigh 180 pounds and are 5 feet 10 inches tall. Multiply 180 by 703 to get 126,540. Next, divide this by 70 (70 inches is the same as 5′ 10″) to get 1807.7. Now, divide 1807.7 by 70 one more time. The result — 25.8– is your approximate BMI or body mass index. If you don’t have a calculator handy, you can get the same result using the free interactive BMI calculator. If the above example sounds you, you might be surprised to learn that you’re ever so slightly heavier than your doctor might like. A BMI from 18.5 up to 25 is considered healthy, from 25 up to 30 is classified as overweight, and 30 or higher is obese. Generally, says the NHLBI, the higher a person’s BMI, the greater the risk for health problems. In addition to causing your BMI to skyrocket, excess body fat is a well recognized health risk. Men and women with waist lines in excess of 40 and 35 inches, respectively, are much more at risk for health problems like Type 2 diabetes, high blood pressure and high cholesterol. Like every rule of thumb, this one also has it exception. Body builders, for example, often have a body mass index above 25 and sometimes even above 30. In this case, however, the higher BMI reflects the fact that body builders have more muscle mass without having more fat. Finally, there’s still only one sure way to lower your BMI if you’re overweight or obese: Eat less and exercise more. Your body will burn more calories than you eat and your body mass index will go down over time.